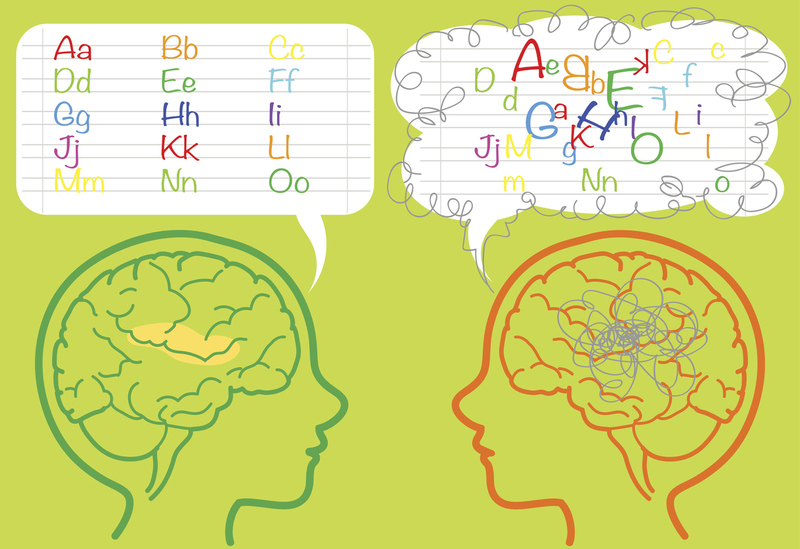 What are the Differences Between Dysgraphia and Dyslexia? Recognizing the difference between dysgraphia and dyslexia in your child is critical to their development. Pinpointing the learning disability that affects your child can help you find the special needs programs or tools they need to be successful in school and social settings. Here’s what you need to know about the two learning disabilities. In its simplest form, dysgraphia can be defined as a mental condition that impedes written expression. Writing becomes messy and illegible, spelling is a struggle, and putting thoughts to paper is near impossible. For children with dysgraphia, even holding a pencil and organizing letters into words is a tall task. School psychologists and teachers regularly use dysgraphia as a shorthand for ‘a disorder in written expression’. Their messy writing has often been confused for ‘lazy’ or ‘sloppy’ kids, impacting self-esteem and creating anxiety. Dysgraphia symptoms are defined under six categories: visual-spatial, fine motor, language processing, spelling/writing, grammar, and language organization. Preschoolers: Hesitant to write or draw; may use excuses like ‘I hate coloring/writing’ to avoid holding a writing instrument and putting it to paper. Elementary School: Illegible handwriting that’s a combination of cursive and print; trouble writing on the lines; uneven written letters; some may say the words aloud while writing or struggling to pen their thoughts. Teenagers: Simplistic sentence structure; writing may have more grammatical mistakes than children of same age/level. “…a specific learning disability that is neurobiological in origin. It is characterized by difficulties with accurate and/or fluent word recognition and by poor spelling and decoding abilities. Based on this definition, the key distinction between dyslexia and dysgraphia is clear: Dysgraphia is concerned with difficulty in the physical acts of writing, while dyslexia is related to reading comprehension. Both learning disabilities can lead to the child having low confidence in their writing and/or reading abilities, making them avoid activities that involve each discipline. The impact on vocabulary and spelling skills from both conditions can be similar when spelling is a more prominent issue; dyslexia can impact a child’s fluency just like dysgraphia in this sense. For students struggling with visual dyslexia, their letter formation abilities can be impeded, mirroring a common dysgraphia symptom. If you notice a crossover of symptoms from a suspected learning disability in your child, it’s best to consult your family physician for specific tests. While dyslexia and dysgraphia are unique conditions in themselves, they both fall under the same umbrella of disability benefits in Canada. Both learning disabilities qualify for a range of Canadian disability benefit programs, namely the Canada Child Benefit and the Disability Tax Credit. Each program provides monetary relief for families managing a disability, freeing up finances for everyday expenses or the added costs of special education, tools and equipment for your child. If you or your child is affected with either dyslexia or dysgraphia, we can help claim both the Disability Tax Credit and Canada Child Benefit on your family’s behalf. We’ve helped over 40,000 Canadian families qualify for disability benefits, and can help you too. Call us today at 1-888-389-0080 or schedule an online consultation with one of our Canadian Benefits Specialists.